Hyundai Veloster Stripes, Vinyl Graphics, Hood Decals, and Body Striping Kits. 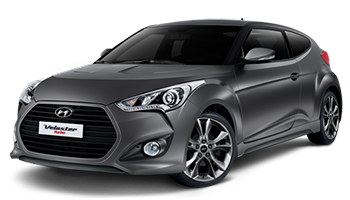 The Hyundai Veloster is one hot hatchback, with quirky styling that stands out in a crowd. Below you'll find a wide variety of Hyundai Veloster stripes, decals, and vinyl graphics for the model years indicated. Featured here you will find the MENTUM Hyundai Veloster Vinyl Graphics Decals Stripes Kit, the RELAY Hyundai Veloster Upper Door Vinyl Graphics Decals Stripes Kit, the RUSH Hyundai Veloster Side Door Accent Vinyl Graphics Decals Stripes Kit, the STRIKE Hyundai Veloster Lower Rocker Panel Stripes Kit, and so many more! Choose one of these popular vinyl decal styles today!